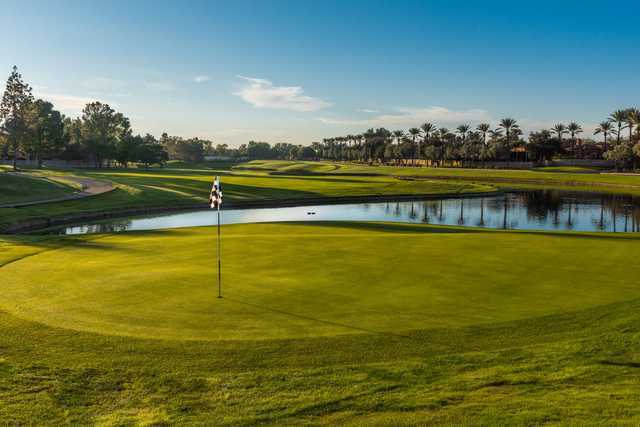 Ocotillo Golf Resort offers 27 unique holes that are more like a course in south Florida than the desert golf courses in Arizona. 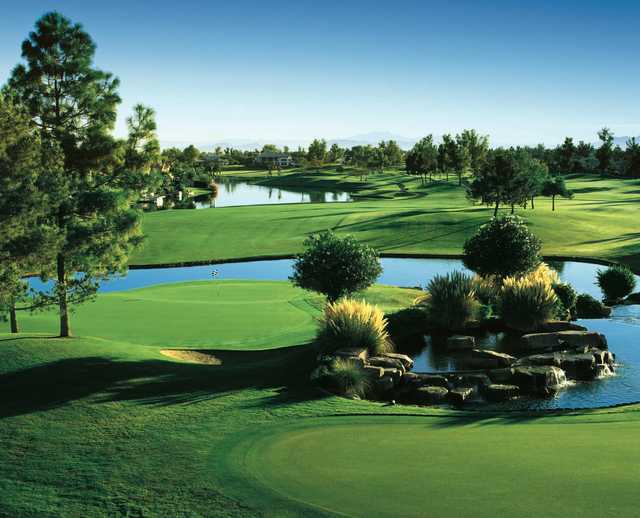 Nearly every hole at the resort features water and the lush landscape is covered in swaying palm trees, color flowerbeds, and cascading waterfalls. 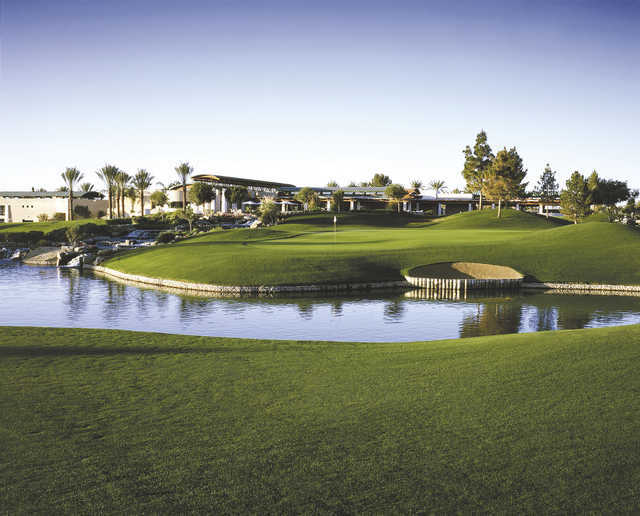 The holes are divided into three nines, which are played in three different 18-hole combinations. The White nine is Ocotillo's shortest but the Gold is the longest. The layout has rolling fairways and challenging pot bunkers. 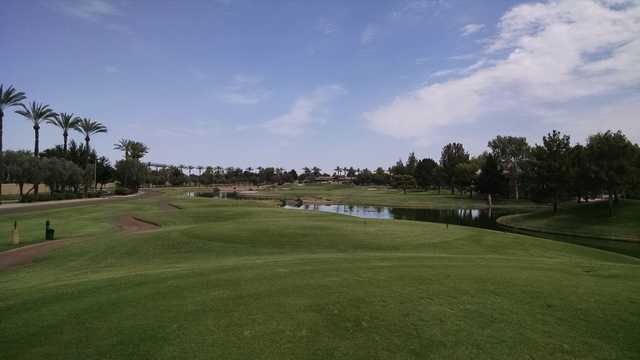 This is a more forgiving layout than the Gold/Blue, which is the most challenging golf course at Ocotillo. There are homes bordering the course's lakes but they do not intrude on the game.